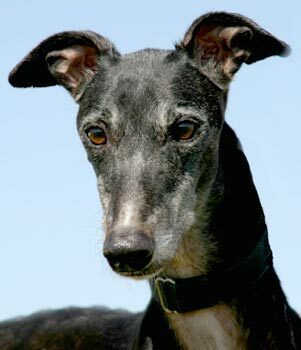 Bliss, aka Fine Lookin Lady, is a beautiful, 7½-year-old black female born February 14, 2002 - a valentine puppy! Her sire is Hi Ho Silver, and her dam is Perpetual Bliss. 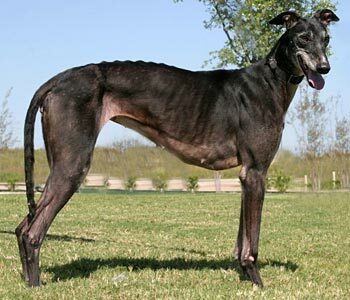 Bliss has 148 races to her credit starting in Florida August 7, 2003, and finishing at Wheeling Downs May 6, 2005 as a AA racer. 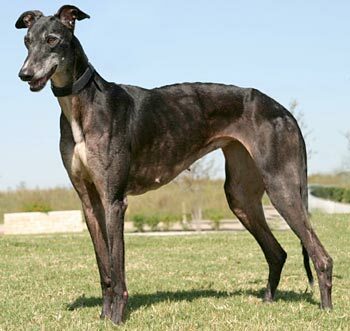 She then went on to be a brood, with only two pups showing on Greyhound-Data.com, born May 29, 2007. Those birthin’ pup days are behind this sweet girl, and she is ready to find her forever home! Bliss’s cat test: Bliss was initially quite interested in the cats, but with a little time, that subsided. She was eventually allowed off leash and without a muzzle, still turning away from the cat on her own. Close supervision is required when introducing a new dog to a household with cats, and a dog well-behaved with cats indoors may become very excited when she sees a cat outdoors.